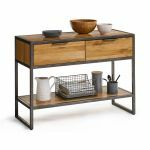 The Brooklyn metal console table makes a statement in your entryway. 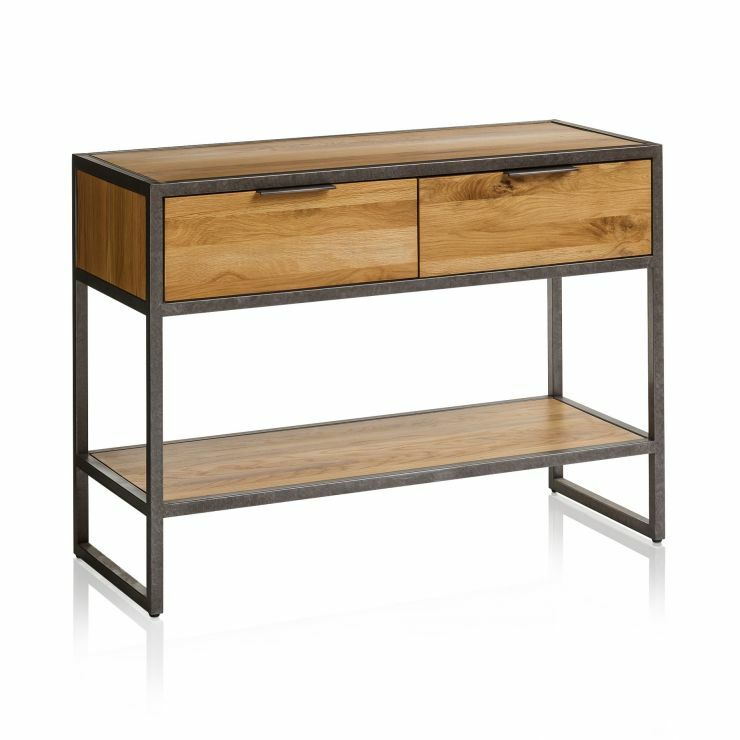 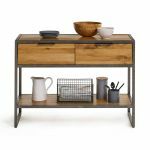 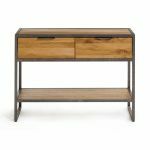 Designed with a chic industrial look inspired by loft living, this industrial console table features an open metal frame with simple solid oak panelling. The table has a low display shelf, perfect for entryway accessories, and the unit also has two storage drawers to help keep clutter out of sight. 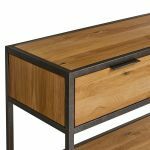 The drawers are constructed with our renowned attention to detail in mind, with real dovetail joints to add to their durability, solid oak bases, backs, and runners. They're finished with slim metal tab handles, which coordinate with the frame to complete the styling. 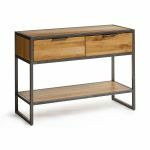 Shop allmodern Brooklyn pieces today, and don't forget, we offer free delivery to your room of choice as standard!